Oh, my goodness. 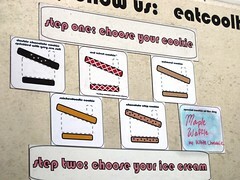 Those look delicious. And, they have sandwiches w/ foie gras? That sounds ridiculously awesome. Wow -- my mouth is watering! 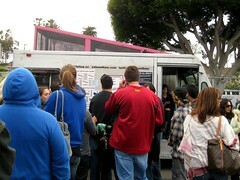 Love Coolhaus. Only tried them once, but I see them around a lot. i've eaten there once and it was just delicious. so much ice cream though i could barely finish it, haha. 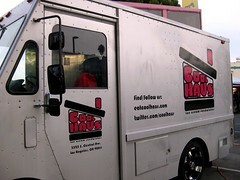 Ah - I've never had Coolhaus and that's like the only truck I really want to try and I've never seen them! 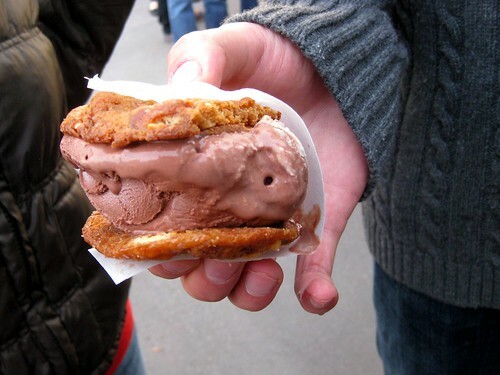 Fortunately I'll be able to taste one at their brick and mortar which should be opening any day now! Whee! Exclamation points! i must admit they are good, if pricey. they sell the sandwiches at the cafe at school and i think a few other select places. 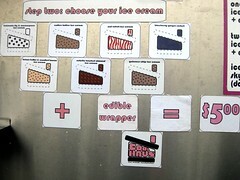 LOVE the mint chip with bits of real mint in it and no neon green color. 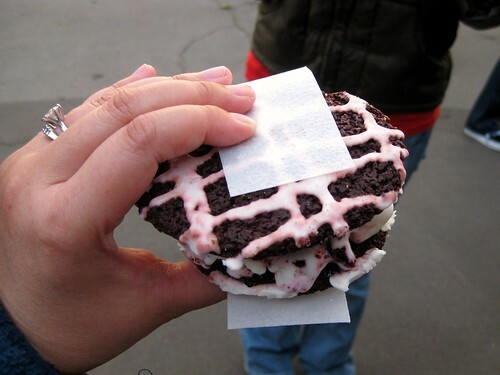 I want one of those ice-cream sandwiches right now!